Michael and I love Italy. It is a magical place we travel to a couple times of year for Romabio. All of our manufacturing is there and two of the founding owners live near Florence. Our trips usually revolve around lots of work, but as I always say, it is so nice to end your work day at some wonderful restaurant with authentic Italian scenery, food, and wine. This summer we decided to take the whole family on a trip there for the first time. And I say trip, because traveling with kids is not always “vacation,” especially when mixing in work meetings. Still, it was a trip we will cherish. And when we talk about work at home now, we hope our children will make the connection between our creative drive to develop beautiful products inspired by Italian architecture and history, and our need to be away from home. I get asked for recommendations about Italy all the time. I thought I’d finally write it all down and share some insights and tips for any of you that want to go to Italy. 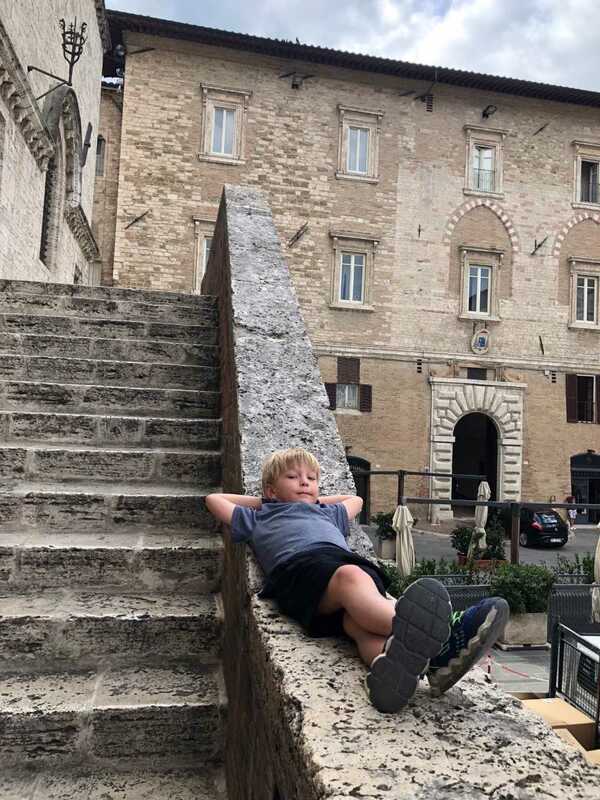 This is not an exhaustive how-to-do Italy list, but rather some cool places we’ve been to over the years and what we did from our recent trip. Here is my first one: Florence, one of the greatest cities in Italy, and a trip here would not be complete without it. We are so lucky that Florence is usually our home base. We’ve traveled every way possible to get to this city. Fly direct to Rome and then a train up. Fly to Milan and then a train down, or rent a car and drive, but what we have found the best is to do a 2-stop flight connecting in Amsterdam or Paris, and flying Delta is my favorite. Florence is a great starting base for what you might want to do in Italy. Once you are there, just stay somewhere near the city. It’s such an easy place to walk around that if you are within reasonable walking distance to the Duomo or Piazza della Signora then you are fine. There is something for everyone in Florence – architecture, history, museums, churches, scenery so pick your pleasure. On this last trip we rented this amazing apartment thru VRBO that was 2 blocks from the Duomo. It had a huge terrace and gorgeous high ceilings with wood beams. It felt old, yet had all modern amenities, was very spacious, and the steep flights of stairs were worth it. We did some sightseeing and a trip to Florence must include a hike up to the top of the Duomo. Buy your ticket online at least a week before you go….maybe even earlier if it’s high season to avoid the long lines. For food, I have to say it is hard to go wrong in Florence (and most of Italy for that matter). This is one of the reasons we love it so much and why it can be such a stress-free vacation or travel trip. It’s just hard to get a bad meal. As a foodie, this makes me so happy. I am pretty high-maintenance when it comes to quality of food, so this works wonderfully for me. – Small restaurant Fuoco Matto on the northside of Florenze, literally “Crazy Fire” in Italian, great food! – Nice meal, huge portions, and good place to take kids – Osteria Santo Spirito in Piazza Santo Spirito. And, there’s another thing I’d recommend, you must eat somewhere that has “slow food”. of love and care… Italian style, what could be better. And this is our secret place, La Bussola in Quarrata. We go every time we are in Florence and you will never see a tourist there…..ever! 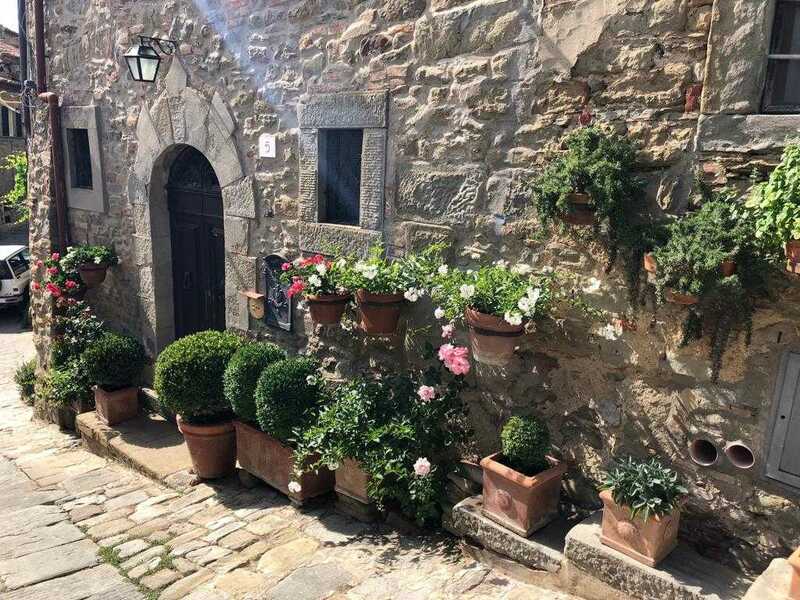 Next up is Cortona, the Magical City, our favorite (possibly Michael’s resting place) and we tell everyone to go there. 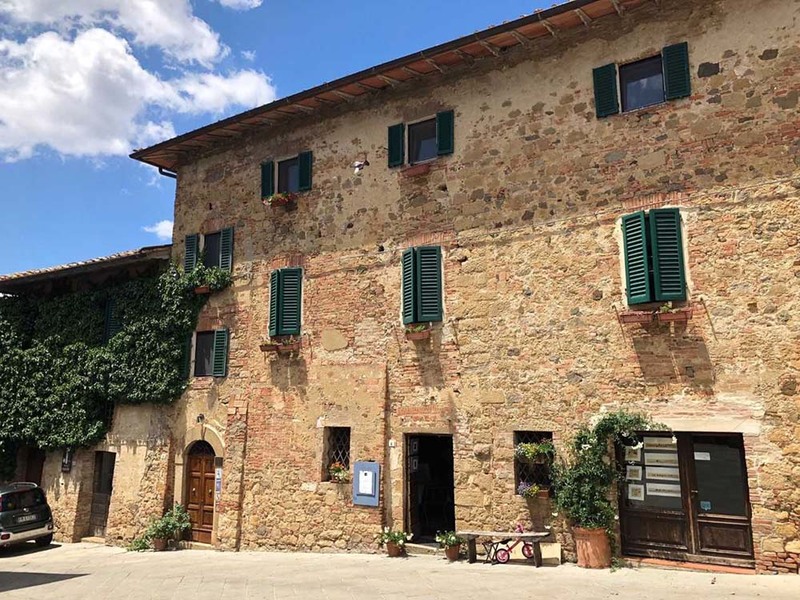 But, if you don’t like ancient Etruscan and medieval architecture, beautiful small towns, extremely friendly people, getting lost on narrow cobblestone streets, gorgeous views of Tuscany all around, and the vibe that you are connected….truly connected, then you might want to skip it. Eat anywhere once again, deliciousness all around, and here’s our favorite, Nessun Dorma and you must drink the local Syrah wine. They only started making it in the last 15-20 years, but it’s amazing. It’s complex with nice smooth tannins, and a good acidity with just the perfect balance. You can’t find it in the states (or at least I haven’t been able to in Atlanta) so drink up. Here are some of the wineries that we like: Fabrisio Dionisio and Stefano Amerighi. 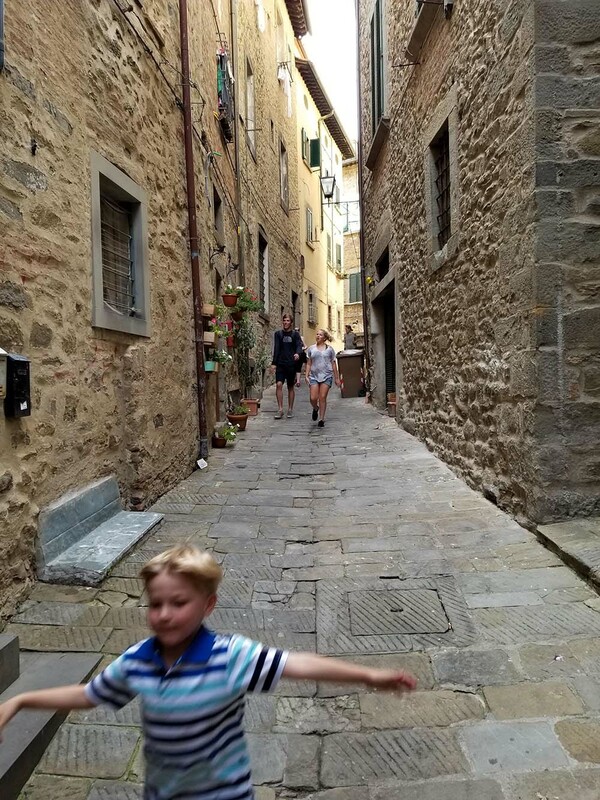 After your belly is full, then walk around Cortona. At any time of the day, it is a magical place…truly. There’s usually a concert in Piazza Signorelli or some type of festival going on. The first time we went there, there was a food festival with local vendors set up throughout the city. You could eat for 2 to 3 Euro….amazing meats and cheese, and I tried this really good sandwich. I asked what it was and found out it was beef tongue! Now that is something that I never would have ordered at a restaurant but man, it was so good, and it was only 2 Euro! There are a couple of other off-the-beaten-path places to visit in Tuscany that we recommend. you need only a couple hours to explore and walk around, but there are quintessential views of the rolling hills of Tuscany. • San Gimignano outside of Siena – the town of towers – incredibly beautiful. • Perugia – technically not Tuscany but Umbria region and an easy city to walk around and see the historic sites. We really wanted the beach for the last part of our trip, but how do you decide where to go with all the possibilities of a 700+ mile peninsula? 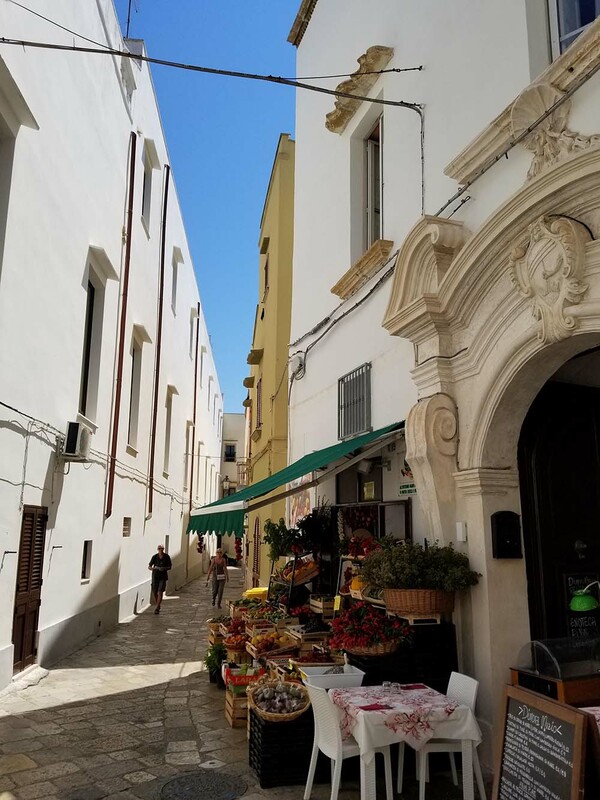 You could go to Amalfi coast, Venice, Calabria, even Sicily, but we ended up in the heel of the boot in the Puglia region and we were not disappointed. We picked Old Town Gallipoli, not a common spot for Americans, but a very cool place. We rented this beautiful apartment with a rooftop terrace that had a 360 degree view of the Old Town and the Adriatic and Ionian Seas. The water is so clear and blue there and the cliffs and rocks make for a dramatic landscape. We loved getting take out at Scafud and eating up on our terrace while watching the sunset. 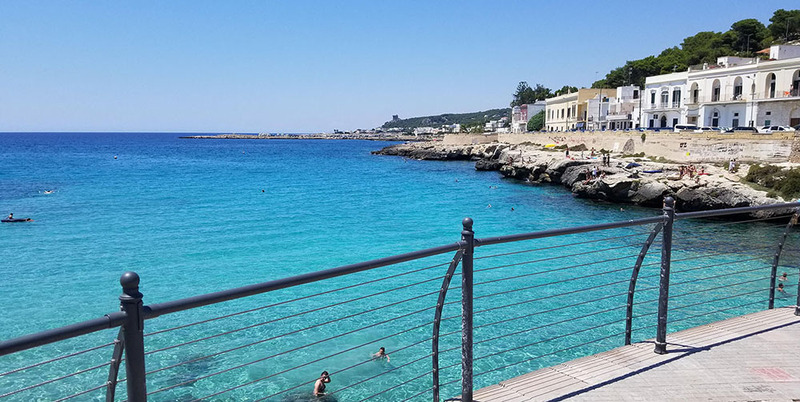 We checked out many local beaches, but our favorite was Santa Maria al Bagno as it had the right balance of cliff jumping (yes, everyone jumped off a cliff except for my 5-year-old! ), sandy beaches (which can be hard to find), lounge chairs, and a snack bar with food and drinks right next to it. For this trip, we didn’t hit all the major sites like Rome or Venice. Our schedule was just too packed already and I was fine with skipping them. That’s something to consider – the ages and personalities of everyone travelling, and what kind of experiences you want that will inspire you. Schedule time for downtime in between travel days. This is one the best things we did to make sure everyone came home happy and didn’t feel like we schlepped them throughout the country. We got to show them some of the most beautiful parts of Italy, while Michael and I still got to enjoy it a little as well, and as always with Italy, we feel renewed and inspired. No matter where you go, I hope you find inspiration in your daily life or travels. I know you’ve been inspiring me with your home transformations whether you are DIYer or a PRO. Keep sharing, we love seeing it all.